Jason Clarke, Diane Kruger, Brit Marling et al. At an isolated log cabin in the harsh wilderness of Indiana circa 1817, the rhythms of love, tragedy, and the daily hardships of life on the developing frontier shaped one of our nation’s greatest heroes: Abraham Lincoln. Using glorious black and white cinematography to conjure an America where the land was raw, The Better Angels sheds new light on the formative years of the future president and the two women who molded him into one of the most revered men in American history. 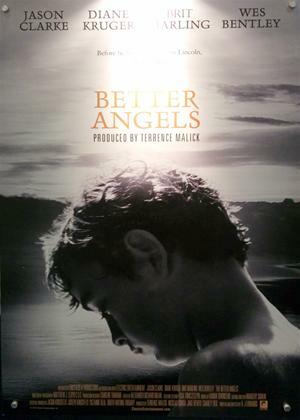 Based on 19th-century interviews with Lincoln's family members, The Better Angels is a beautiful, insightful, and brilliantly composed feature debut from producer Terrence Malick's longtime protégé, A.J. Edwards.